These neoclassical columns made of reinforced concrete survived the 1906 and 1989 earthquakes in grand style. The rest of the building didn’t fare so well. Jane Stanford insisted on Greek columns, an innovation in museum architecture at the time. The columns also appear inside the building in the west rotunda where Rodin’s Thinker resides. 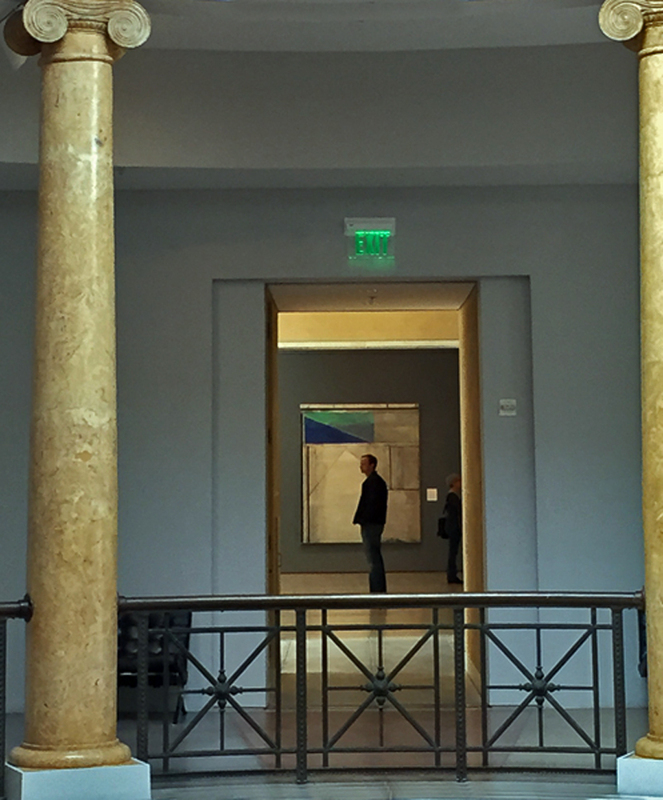 Looking through the Ionic columns of the West Rotunda to the Modern Art wing. 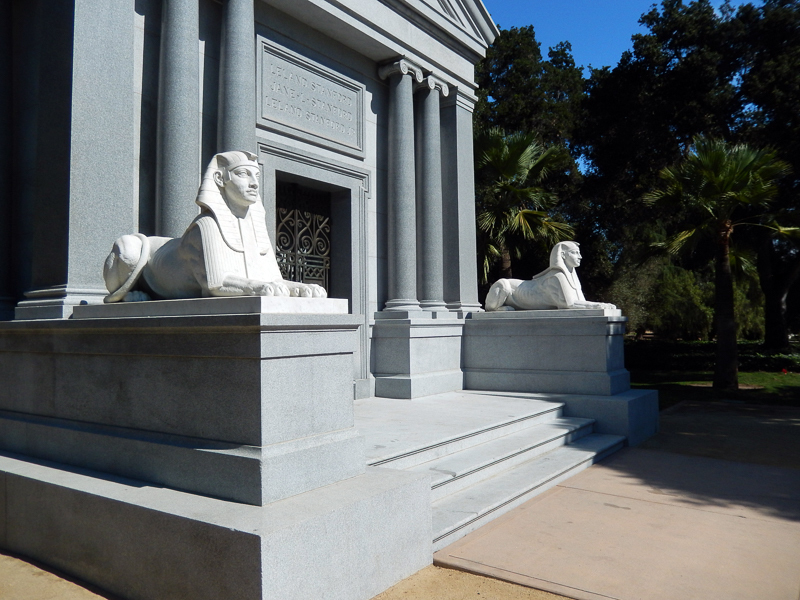 The columns also decorate the Stanford’s nearby Mausoleum (you can’t have too much of a good thing). 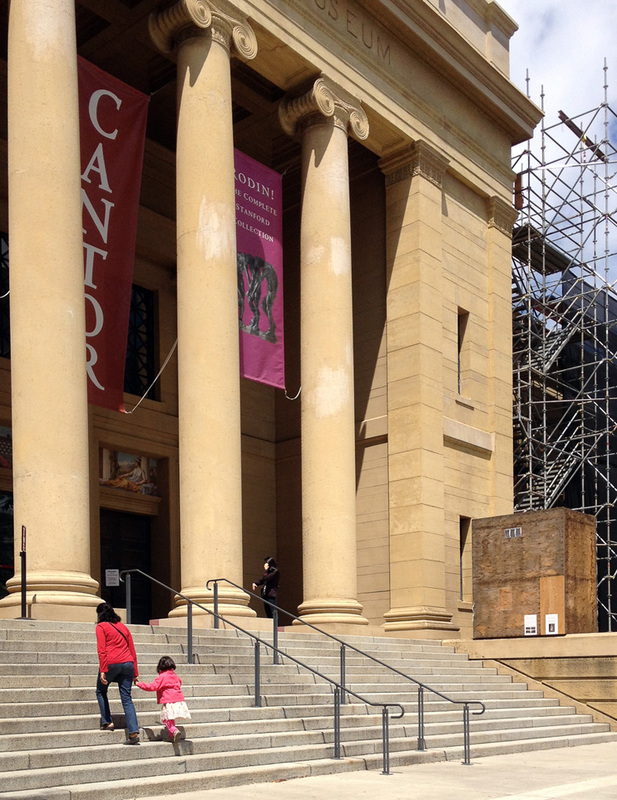 This entry was posted in Stanford, Travel Blog, Wordpress and tagged blogging101, cantor arts center, Greek columns, Jane Stanford, photo101, Photography by carto. Bookmark the permalink.